You’re looking for answers, and you’ve decided a psychic reading will help you find what you’re looking for. You’re not alone – today more than ever, people are looking to the supernatural world to help them make sense of these mysteries we all deal with. Before you start looking for an online psychic reader though, make sure you find one that’s right for you, and what you’re looking for. If you’re trying to reach out to a long lost loved one, then paying a dowser to find a groundwater deep below your backyard probably won’t help. If you’re desperate to know if you’ll get that big promotion at work, an animal telepathy expert probably won’t be able to piece together the puzzle for you. You need to match up your needs with the right type of psychic reader, and then you’re in business. Here’s some direction that may help you figure it out. Perhaps more than anything else, people go to psychic readings in order to get a look at their future. If you’re concerned about your career or your health, or just curious about whether or not your significant other will ever pop the question, a look into your future with a psychic reading can give you some insight, and even a little peace of mind. Tarot cards are playing cards which have been used for hundreds of years in order to read the future and gain insight into the subject of the reading. The deck has 78 cards that are shuffled, laid out, and interpreted by the tarot reader, who unlocks what it all means for the life of their client. 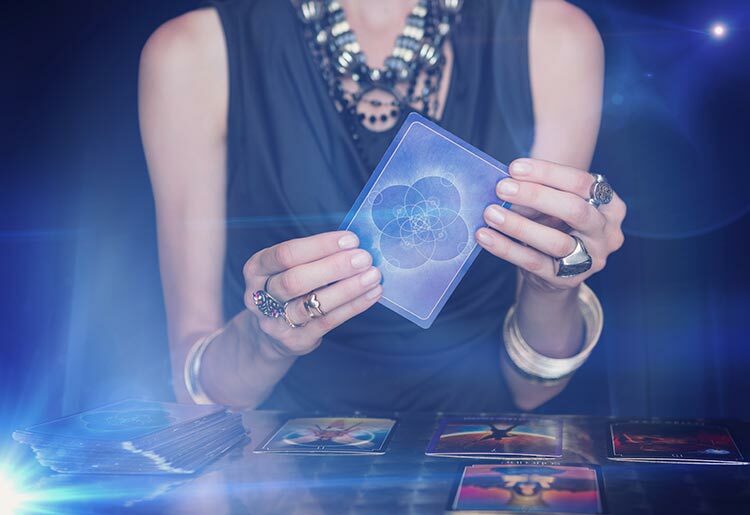 If you’re nervous about the future, an online tarot reading can help you get some clarity. We know what you’re thinking, but crystals balls and magic 8 balls aren’t a must here. Fortune tellers have a rich history in folklore from across the world, dating back millennia. These days, they typically work in an informal session, meeting with a client to predict what the future holds for them. Some work with tea leaves, coffee grounds, cards, or other visual aids, but the goal is always the same—to present a forecast of the days and years to come. Many people go to fortune tellers before a big turning point in their lives, when they’re worried about a decision that’s coming up, or they just want to know that everything’s going to work out in the end. Cleromancy is the ancient art of “casting of lots” – throwing out dice, stones, and/or similar objects and then analyzing how they landed and what it all means. It’s a time-tested tradition, and can help you gain some insight. Also known as palm reading, palmistry is the practice of studying someone’s palm in order to predict their future. Usually this involves studying the lines and other aspects of the palm and fingers. 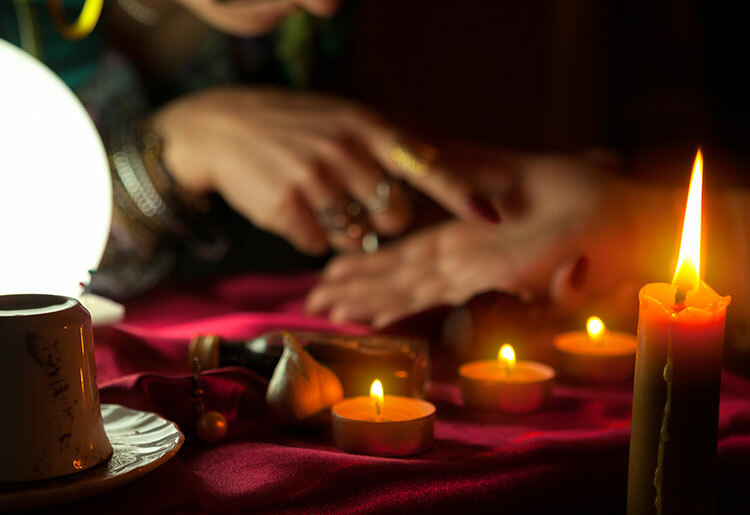 Palm readings provide a more intimate sort of fortune telling, a hands-on (literally) experience where the reader looks into what can be read about your life, and what’s in store. This is the flip side of predicting the future. Retrocognition takes a look into the past to read an individual’s past lives and experiences—and the non-physical “life” between their past lives—in order to understand the causes of their current problems. Retrocognition is a good option if you’re just trying to figure out why things have been playing out a certain way, if you’re feeling a bit star-crossed and want to know the reasons why. Sometimes the answers were written long before we stepped on the scene, and can be found in our past. Cartomancy uses a deck of card to read fortunes. Practitioners are known as cartomancers or card readers and they practice their craft through the use of regular decks of cards and specialty packs. Similar to tarot card readings, Cartomancy can provide answers for what lies ahead. “Mirror, Mirror on the wall, for scrying you can also use a crystal ball.” Scrying is the art of looking into an object – typically a reflective or translucent one – in order to see the future or far off into the distance. Scrying can be a solid way to see far down the road, to ask if a loved one will recover from an illness, or if a long-term project at work will pay off in the end. You’ve probably seen psychometry on a TV crime drama, in which a “psychic expert” is brought in by cops to crack a murder case, and places their hands on an object to gain some insight about the deceased—or the killer. Also known as token-object reading, it involves touching an object to gain insight about the owner, through images. We all have family heirlooms and objects with sentimental value in our house, or just some old relic that has always piqued our interest. These objects can hold insights, and psychometry can unlock some of their secrets. Psychic readings don’t just let us look into the future. For many, they are a way to leave the earthly world entirely, and connect with the other side, the spirit world that lies beyond our reach. Typically these people are looking to communicate with a loved one who passed on, or a spirit that has been visiting them in the physical world. A psychic medium is a go-between for the physical world and the spiritual world. Working with a single client or in a séance with several individuals, a medium reaches into the spirit world to communicate with the deceased and bring messages to and from the other side. Mediums are often hired to contact a deceased love one of a client, though they also offer to speak to all types of spirits and angels. After the loss of a loved one, many of us are left with unanswered questions. There are always things we wish we’d asked, opportunities missed that won’t return. A psychic medium can help you fill in the blanks. Channeling is like a medium reading, just kicked up a notch. The medium allows a spirit to take over their body and communicate with the outside world. This can be an intense way to communicate with the spirit world, and a powerful way for you to connect with the deceased, or with a spirit that has been visiting you and you just want to know why. Clairaudients hear things from the spirit world in their mind which are inaudible to most people. In a reading, they hear things relating to the client that they themselves cannot hear. Often times we feel that there’s something the spirit world is trying to tell us. Perhaps you’ve been visited by a spirit or some sort of form from the other side and you need someone who can be a go-between. A clairaudience can reach out for you and make sense of it all. Forget about the spirit world – few things are more curious and vague than relationships. Many people go to psychic readers in order to solve some of these riddles of the heart, and see what they can expect from their romantic life. Many psychics also specialize in decoding the mysteries of human emotion and thoughts, numbers, and even, what the family pet might be thinking as of late. A love prediction reading is a way to get a little extra help with a psychic trained in answering the big questions: Is she willing to commit? Is he going to propose? Does she have somebody else? Is he ever coming back? They might not tell you what you want to hear, but sometimes, love hurts. You can get a psychic glimpse at your love life with Kasamba, who does love readings as well as dream analysis - in case that special someone has been running through your mind at night. 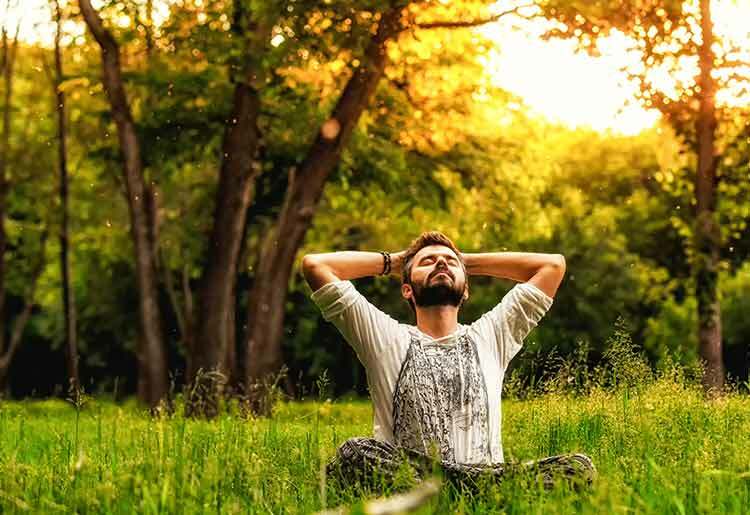 Empathic psychic readings use the services of an empath—an individual who can wrap themselves in other people's emotions, decode their feelings and the emotional states running their life. For people saddled with sadness and dismay, an empath can help gain some understanding of their feelings and where their heart is at. 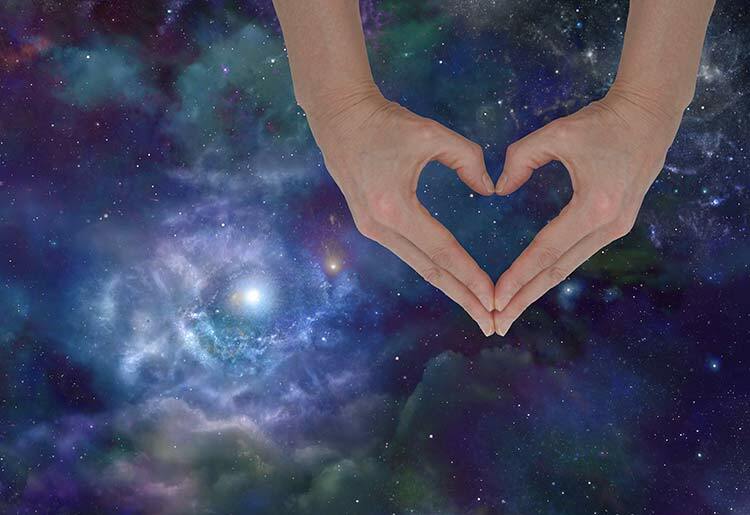 If you’ve been stuck in a funk and can’t really figure out well – work is great and your love life is never been better – an empath may help you understand why you don’t feel quite right. Aura readers look at the aura surrounding a person, and determine what this atmosphere says about the person’s essence and what their future may hold. They can also read animals, places, and inanimate objects, and look for disturbances in the aura that could spell trouble. Do you feel that something’s off? An aura reading can help you figure out if there’s something wrong with your aura or if there’s something specific you’ve been doing that you can change. Telepathy is what we often think of as mind-reading. There are 2 types of telepathic communication—the ability to transmit information from one person’s mind to another, and telepathic perception, the ability to “read” another person’s mind and glean information from them. Visiting a telepath is an exciting, one-of-a-kind experience in which you let someone into your mind, to get an understanding of who you are and what’s happening upstairs. Clairsentience is the ability to feel and sense information from people you meet and places you visit. The information is not seen or heard, it is felt and understood by the clairsentient. There are unspoken signals we all get off, and by visiting a clairsentient you can understand what sort of signals you’re getting off, what messages are transmitted when you’re around. What’s in a number? For a numerologist, it turns out quite a lot. Numerology readings use numbers—typically based on a client’s birth date and name—to decode the mysteries of their life. If you’ve just had a birth in the family, a numerologist can decode the meaning of the day of birth. If you’ve just met someone you’re interested in and you’re concerned about their birthday, this can possibly put some of those questions to rest. Dowsing has traditionally been the use of a sort of pendulum or forked stick to search for underground water, but today, psychics use it to find all types of lost objects. If you’re trying to trace down a cherished heirloom, dowsing may be able to help you. There’s a lot more to astrology reading than that column in the newspaper or that guy at the bar asking you what your sign is. Astrologers take a client’s date of birth and look at the alignment of the planets on that day to read your energies and determine who you are and where you’re going. Keen offers astrology readers as part of one of the largest networks of psychic readers online. Astrology can help you if you’re looking for an answer in the stars, if you believe there is a wider system at play and that we are all connected through this cosmic archipelago. Animal telepathy is the ability to telepathically communicate and connect with animals. Practitioners report they are able to understand the feelings and thoughts of animals, and thus decode the reasons for their behavior. Most pet owners see their pets as nothing less than a member of the family, in some cases just the same as a child. Unfortunately, there doesn’t tend to be a normal framework to get answers for what ails the family dog. If your pet has a problem and you’re looking to get a clue of what it could be, animal telepathy can help you understand your loved one that can’t speak. There’s more to psychic readings than you may think. You can voyage into your future, communicate with a loved one who passed on, and even find out what’s making your family dog uneasy as of late. There is a whole world of insight ready for you to tap into, all you need is to find the right psychic reader, make that leap and find the answers you need.